When it comes to rejuvenating and relaxing, there's nothing better than a spa retreat. Throughout Massachusetts' you'll discover a wealth of luxury spas that will make you feel like you've stepped into a sanctuary, made just for you. 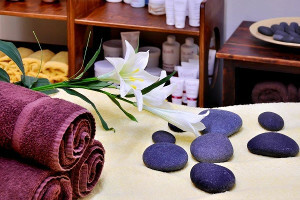 Whether you're traveling through the hustle-bustle of Boston and looking for a pick-me-up, or on a vacation in the Berkshires, where the majestic peaks of the mountains are sure to help you unwind as much as a massage, you're sure to discover a truly incredible spa retreat in this incredible place. Surrounded by the majestic Berkshires, the Canyon Ranch at Lenox is a charming destination that lets you focus on the important things in life. Here, you will find not only a place to unwind, but somewhere that allows you to discover how to uplift your life and set you on the right track for better living. Canyon Ranch’s luxury spa offers so much more than a soothing massage or facial treatment. While you can definitely indulge in both those things, you will also find the chance to learn about preventive health care and nutrition and take part in their fitness or spiritual growth programs. With 40 classes available everyday along with plenty of outdoor activities and onsite dining, this is an unforgettable spa retreat that will truly leave you feeling like new. Another beautiful Berkshires getaway, the Cranwell Resort is a delightful getaway for anyone looking for an exceptional spa experience. Named one of the Top 12 Spa Escapes in New England by Boston Magazine in 2015, the Spa at Cranwell features a menu of over 50 services, 16 comfortable treatment rooms, a state-of-the-art fitness center with daily classes and even a full-service salon for nail, hair and make-up services. Rejuvenating treatments including Swedish and warm-stone massages, Moroccan oil body buff and their signature Grand Mosaik body treatment let you discover the perfect experience for you! For a more affordable spa experience, the Lotus Mind+Body Spa in Needham, Massachusetts is a great option for your relaxing getaway. Retreat to this suburban day spa and find a menu that offers some exceptional services that includes not only soothing massages but nail treatments, skincare and waxing. Asian-inspired body scrubs and mud baths are available for a truly unique experience. And, if you’re a Boston native, their premier membership programs make it easy to set up your next spa appointment! Located at the Dan'l Webster Inn, the Beach Plum Spa is a like a sanctuary within a sanctuary. This cozy Sandwich, Massachusetts inn is a Cape Cod landmark, offering over 300 years of lodging to guests from across the country. Here, you can leave aside your worries and delve into true relaxation and comfort, whether it’s with a rejuvenating stay in one of their charming rooms or simply with a stop by the spa. Open to the public, the Beach Plum Spa offers a variety of services and packages including their signature ultrasonic facial, an organic Himalayan salt scrub with essential oil, and holistic and healing massages such as reiki and shirodhara.